This is the official 8MP NOIR camera from Raspberry Pi foundation. The 2.1 Night Vision version of the CSI camera module for the Raspberry Pi 3 is equipped with a CMOS sensor Sony IMX219 image sensor allowing to obtain still images of 3280 × 2464 pixels and a video stream up to 1080p30. It also supports 720p60 and 640x480p90 video streams. The Night Vision version, also called NoIR, allows you to obtain snapshots or a video stream even with very low luminosity. Be careful though, this is not a night vision camera. Additional Led lighting is required to obtain an image at night. 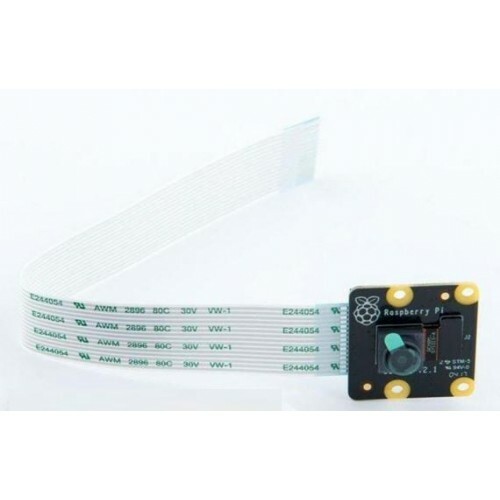 The Raspberry Pi NoIR Camera Module v2.1 is a high quality 8 megapixel Sony IMX219 image sensor custom designed add-on board for Raspberry Pi, featuring a fixed focus lens.